Although we still like the company for its outstanding management and improved outlook, we are downgrading the stock to a tactical UP (from OP) with TP of RM1.20, following a sharp 215% rally in the past month. While the group had posted strong 4Q18 results, which were lifted by lump-sum work orders, we believe such outperformance is unlikely to be repeated. Meanwhile, we also believe its upcoming corporate exercises could dampen sentiment. Strong 4Q18 results boosted its share price. A quick recap; despite being a seasonally weaker quarter due to the monsoon season, DAYANG posted an exceptionally stronger set of 4Q18 results – more than double QoQ from 3Q18, which is typically a stronger quarter, and rebounding from YoY losses in 4Q17. In fact, 4Q18 results were exceptionally strong that it contributed 57% of its full-year FY18 earnings. Following this, trading sentiment for the stock turned immensely bullish, with share price shooting up by 215% since its 4Q18 results announcement last month. But, is 4Q18 earnings performance sustainable? All of the quarter’s topside maintenance revenue came from “lump-sum” billings, as compared to the more conventional “schedule of rates” billings. As we understand, lump-sum work orders arises when (i) there is a specific or urgent work request from the client for packaged maintenance or overhaul services, as opposed to the more usual scheduled maintenance works, or (ii) successful billings of variation orders. That said, while there is still a possibility for lump-sum work orders in the coming quarters, we believe it is unlikely that it will be at the record-high levels seen in 4Q18. In fact, we expect 1Q19 to post more “normalised” levels of profits, on the back of it also being a seasonally weaker quarter given the monsoon season. Corporate restructuring in the cards. Under the assistance of the Corporate Debt Restructuring Committee (CDRC) of Bank Negara Malaysia, DAYANG’s 60.5%-owned listed subsidiary PERDANA has hinted of an impending comprehensive corporate exercise to be completed within the next 12 months. This is referring to its Proposed Debt Restructuring Scheme (PDRS) for the CDRC, which may include extension of borrowings, disposal of assets, special issues or placement of shares, and rights issue. Depending on the scheme, there may also be a need to further impair the group’s assets. That said, we believe that an upcoming comprehensive corporate restructuring may implicate shareholders of DAYANG, and as taking lessons from other oil and gas companies that had undergone corporate exercises in the past (e.g. SAPNRG, VELESTO), we believe this also may not play well for the stock’s trading sentiment and share prices. Tactical downgrade to UNDERPERFORM, from OUTPERFORM previously. While we still like the company for its outstanding management, on top of its improved outlook, especially compared to 2- 3 years’ ago when it was incurring losses, we believe the recent share price rally could have been overplayed. Hence, we are ascribing a tactical “UNDERPERFORM” call, advocating a “take-profit” or “sell-onstrength” strategy to realise gains from this recent rally. We have given it higher premium valuation, arriving at a higher SoP-TP of RM1.20 (from RM0.92 previously) – implying 1x PBV in-line with its mean valuations. Despite the rich premium, we still find it hard to justify its current share price. Risks to our call include: (i) stronger-thanexpected HUC/TMM work orders, (ii) increase in lump-sums or variation orders, and (iii) higher-than-expected vessel utilisation. RiverOfSilver Boolshhit. Kenanga don't know jackshhit about the real Dayang. RiverOfSilver Some guys must be really jealous about Dayang's sparkling talents & exciting potential. abang_misai Uncle KYY should just terminate his account with Kenanga. Very ungrateful service provider. michaelwong Bcos of this idiotic kenanga shooting at the wrong timing , the whole DAYANG show subsequently turn to habis wayang.....wtf!!! I believed in stock market, there is always some sort of obstruction to dampen sentiments when the stock price is moving rapidly. Luckily I trust myself in whatever circumstances to sold some to lock in profits despite with TP RM3. Out in the sudden darkness , you can never discounted this " HANTU " are everywhere! 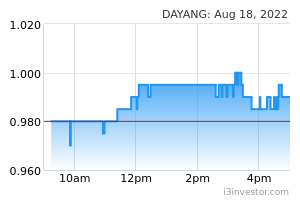 BenPg Is time for Dayang to take a short pause before continueing its rally. No stock can go up non-stop. Ask uncle Koon YY. They all think only they r so good, so intelligently kocky. Never talk to FA people = u will lose your LIFE. 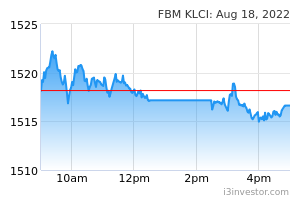 Today on KLSE, there r so few stocks in good biz that can go UP. What choice of STOCKS can funds have? Some r still holding on to purebear glove stocks now = continue holding for another 2-3 years for its next growth cycle to return, Maybe? The number of articles posted by Purebull on Dayang is so many more compared to thàt by Kenanga. Be confident in your own research. Be rational. 20. How much confidence do I have in my research? The final question centers on how you feel about your research. Though it is not directly related to the company, your own analysis is a vital consideration. It determines your action once the stock suddenly drops 50% after you buy. That same 50% drop can trigger opposing actions depending on your level of confidence. If you are assured in your research, the 50% drop in price is a great opportunity to buy more of the stock at half the price. If you don't have confidence, you will likely be scared into selling at a 50% loss. It will happen after you buy the stock and, paradoxically, it happens only after you buy. So, get prepared!